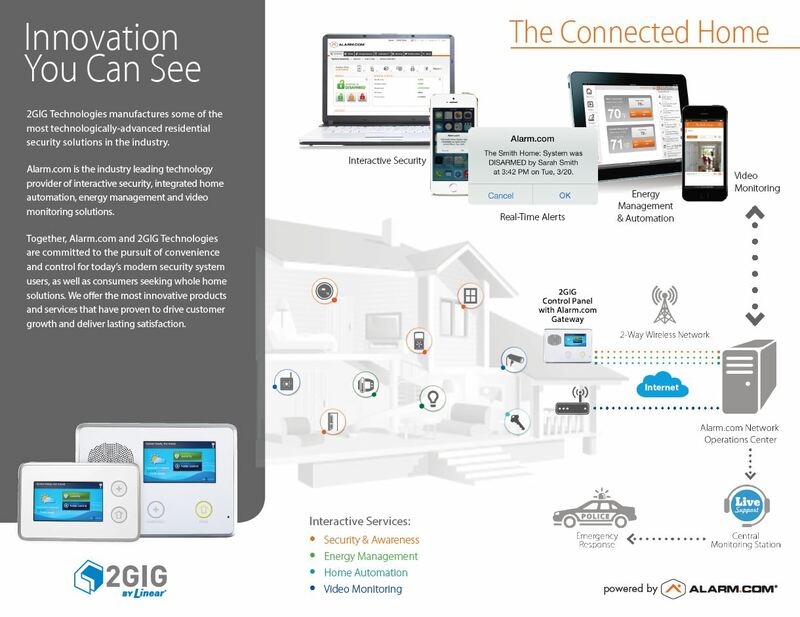 2GIG is proud to be the #1 largest installed base for home security & control systems anywhere. The reason for that is simple. They changed the game in the residential and commercial security landscape with their industry-shattering color touchscreen 2GIG GC2 panel. We believe the 2GIG platform is the best choice available and why we chose to be a 2GIG alarm system dealer near me in Fort Worth, TX. With a touch, scroll through the date, time, and daily weather forecast. 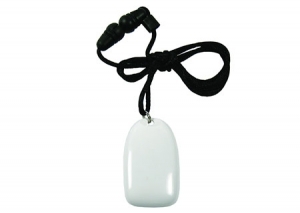 Has the ability to receive messages, including severe weather warnings. The one touch access buttons allow the quickest help possible in an emergency. The panel’s LED lit buttons indicate the system’s status. Secure your home by arming your system “AWAY” or “STAY.” The Quick Arm/Exit and Bypass features offer added convenience. The built in Z-Wave radio makes it easy to add home automation conveniences including HVAC, appliance, lighting, and door/lock control. Two-way voice lets central station operators listen in and talk to you when a signal is received, ensuring that the proper emergency response personnel will be dispatched if necessary. The fully self-contained panel contains a backup battery, and allows 64 user codes to monitor up to 60 wireless zones plus 2 wired zones. There’s no need to worry about the panel’s software becoming outdated. With our Over-the-Air (OTA)function, the panel can be remotely updated with the latest software. Always be in control by remotely managing your system from an alarm.com subscription using any computer or web-enabled smart phone, tablet or other device. 2GIG alarm system keypads or panels offer the latest in alarm system security technology and even include smart home technology built in for easy integrated smart home control! Beautiful, intuitive, user-friendly interfaces are found on the color touchscreen keypads. $350 or call us for possible discounts! Our 2nd most popular choice! Our 3rd most popular choice! • Use with the 2GIG Universal Garage Door Receiver (2GIG‐GDR1‐345) to open a garage door. $30 or call us for possible discounts! Our 4th most popular choice! $75 or call us for possible discounts! 2GIG Alarm System Sensors are available in many options. We are working hard to bring you the latest from 2GIG smart home solutions. Please contact us if you need additional equipment not shown. Our 5th most popular choice! Great for re-using existing wired sensors! $25 or call us for possible discounts! Motion detection that even works with pets up to 55 lb! Best choice for areas with breakable glass to gain entry! Best choice for the quickest 24/7 fire alarm response protection! Best choice for the quickest 24/7 carbon monoxide alarm response protection! $95 or call us for possible discounts! Best choice for the quickest 24/7 fire alarm response protection using your existing hardwired interconnected smoke detector system! Best choice for the quickest 24/7 flood, heat or freezing temperature detection! Best choice for the quickest 24/7 motion detect with image capture email, app and MMS text message alerts! $100 or call us for possible discounts! Best choice for protection against deadly carbon monoxide gas caused by stove or grill knobs being turned on and left on! • Notification to panel when knob on stove/grill is turned at least 20 degrees from the default “off” position. • Water resistant: Weather sealed sensor disk adheres to grill surface, IP65 Rated. • Includes multiple magnet sleeves to fit most grills. $40/knob or call us for possible discounts! Numera Fall Detector Pendant: with built-in accelerometers and a completely sealed design is leveraging Numera’s proprietary fall detection algorithms and fall assessment capabilities. Best choice for elderly fall detection and 24/7 two-way voice communication and response! Best choice for remote control and scheduling of your home’s HVAC system! Best choice for remote locking and unlocking of your front and/or garage door! 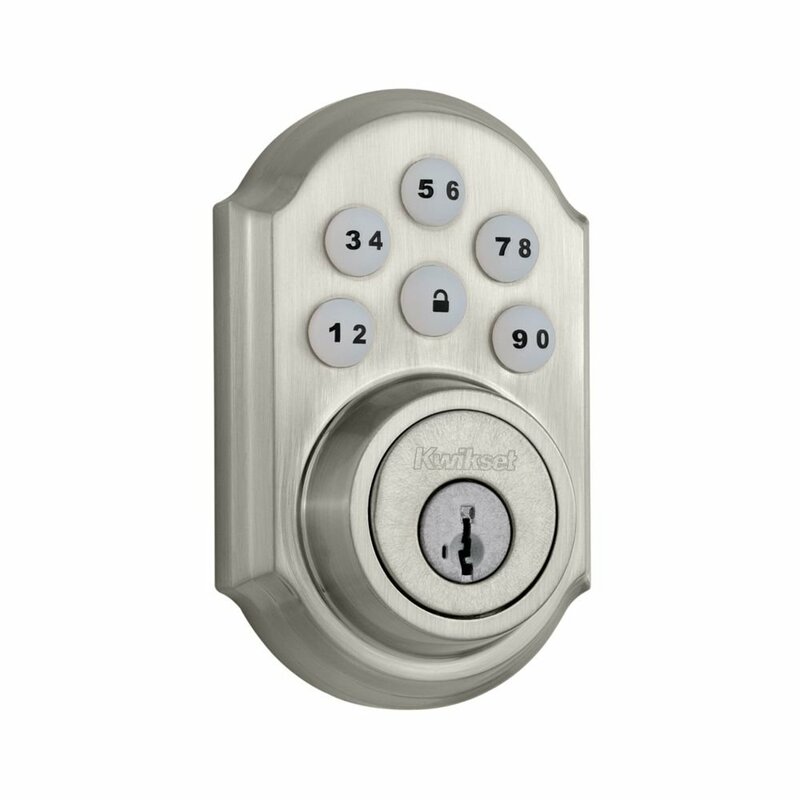 Door knob lock version also available. $175 or call us for possible discounts! The Smart Garage Door Remote Controller opens or closes a sectional garage door remotely through a Z-Wave certified Gateway or Security Panel. It is compatible with virtually any automatic garage door opener connected to a sectional garage door. Best choice for checking open/close status and opening/closing of your garage remotely! The Plug-in Lamp Module is designed to provide Z-Wave control to a connected dimmable or standard lamp. The PD300Z-2 module is plugged into any standard grounded AC wall outlet, and the lamp is then plugged into the module. Once connected, the lamp can be dimmed or turned on or off remotely via the GC2 control panel or Alarm.com app. The module contains two power receptacles – one controlled, and one pass-through (powered at all times). Best choice for turning on or off lights or dimming dimmable lamps. $50 or call us for possible discounts! 2GIG Alarm Systems and alarm.com allow you to access live and recorded video right from your phone, tablet or TV. Best choice for 24/7 indoor camera monitoring and recording! $125 or call us for possible discounts!